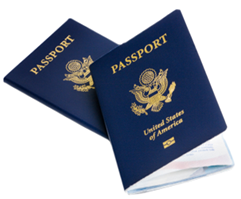 The U.S. Passport Book may be used by U.S. citizens to travel to any international travel destination by land, sea or air. It is valid for 10 years for adults and 5 years for minors under age 16. The U.S. Passport Book contains a small electronic circuit, or computer chip, which securely stores the bearer’s personal information and photograph. The cover of the passport book itself has anti-skimming technology to prevent the chip from being read when not in use. Additionally, the U.S. Passport Book incorporates multiple anti-fraud and security features to ensure the protection and privacy of personal information. Passport books issued before 2006 do not contain the electronic chip. 1. PROOF OF U.S. CITIZENSHIP: Evidence of U.S. citizenship AND a photocopy of the front (and back, if there is printed information) must be submitted with your application. The photocopy must be on 8 ½ inch by 11 inch paper, black and white ink, legible, and clear. Evidence that is not damaged, altered, or forged will be returned to you. 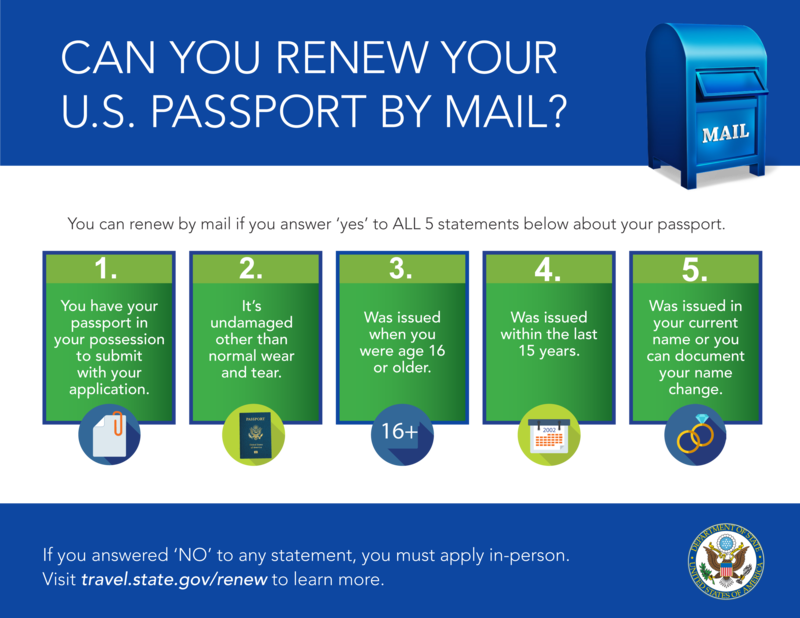 Note: Lawful permanent resident cards submitted with this application will be forwarded to U.S. Citizenship and Immigration Services, if we determine that you are a U.S. citizen. 4. FEES: What are you applying for?